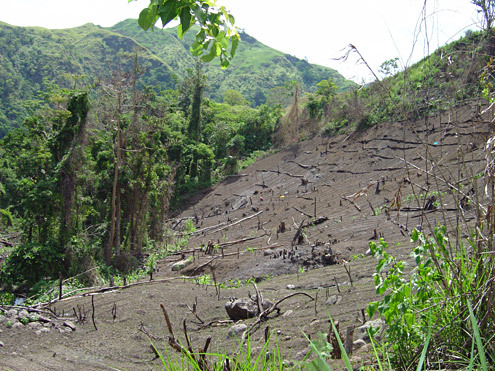 Subsistence farming can also cause great harm to watersheds, resulting in economic losses from floods and drought to people living down-slope. 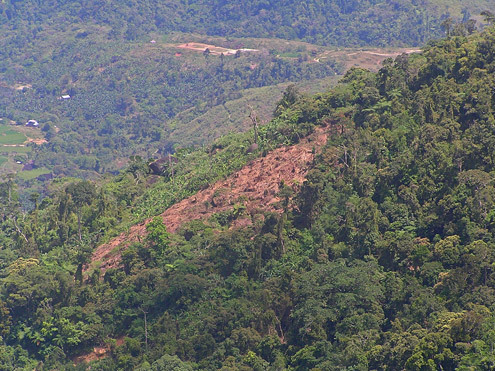 When no land is available to poor farmers in productive lowland areas, they often have no option other than to clear land on steep mountain slopes where flooding and erosion are inevitable. 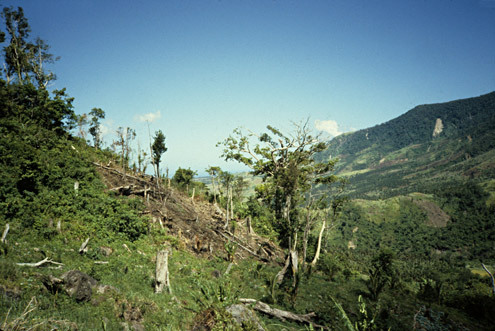 Farming in such areas often begins in areas that have been logged recently. Farming conducted in this fashion often is not sustainable economically, environmentally, or socially.